Unless you are an avid do-it-yourselfer whose thoughts are always…No job is too BIG…You may want to rethink once you see what all a fence contractor in Springfield, VA has to offer its customers. 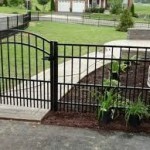 Depending on whether you have been dreaming of a new fence installation on your Springfield, VA property for quite a while as to rather you already have some thoughts as to the type of fence you want or if this is a sudden impulse, but whichever, a fence contractor should be able to guide you every step of the way. Your fence contractor will come to your home in Springfield, VA and give you an estimate for all costs including labor, materials, and supplies for your fence installation. He will walk around your property to take measurements. He will also take notice of the terrain and any obstacles that are in the way of the fence line, and he will then advise you the best way to handle any extras that may come up. The fence contractor will sit down with you and listen to any ideas you have and then advise you if the particular materials and fence style will work for your application at your home in Springfield, VA. If it won’t, or he thinks something else would work much better, your fence contractor will discuss with you all your options. The great thing about working with a fence contractor is that they realize most homeowners in Springfield, VA are on some sort of budget. 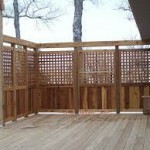 He will also explain the maintenance involved with each material and fence style you are interested in. No fence contractor wants to see an unhappy customer several years down the road when their fence needs some major TLC, and you weren’t prepared. Some homeowners in Springfield, VA enjoy those summer tasks around the home so restaining or painting a wooden fence would not be an issue with them. On the other hand, if you want a task-free summer, choose vinyl fencing for your fence installation. A Springfield, VA fence contractor such as Hal Co Fence goes the extra mile with their customers, so their customers fully understand everything in detail about their new fence installation. If you are contemplating construction of a new fence around your property in Alexandria, VA, your best bet is to hire a fence contractor such as the team at Hal Co Fence. Whether you want a chain-link fence, wooden fence, vinyl fence, privacy or picket, a fence contractor can help you in choosing what materials and design will best work on your property. 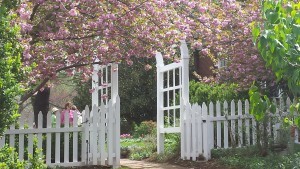 Alexandria, VA homeowners invest in fences for many different reasons. Some do it for privacy, others to enclose children and pets for safety or define their boundaries, while others just want to add appeal to their property. Whatever your reasons, you should always consult with a professional fence contractor before starting any fence installation. Fence contractors in Alexandria, VA offer years of professional hands-on experience for their customers. Most likely, there aren’t too many unforeseen situations that they haven’t dealt with before. Most homeowners in Alexandria, VA are looking to stay within a budget that they have set up for their fence installation, and fence contractors are the best at giving you the best quality fencing for your budget. A lot of homeowners do not have the extra time to maintain a fence once it has been installed, also where having a fence contractor comes in handy. Most fence contractors, such as Hal Co Fence, offers fence repair and regular maintenance so that your fence on your property in Alexandria, VA will continue to look its best and stay sturdy for years to come. When you entrust a fence contractor for your fence installation, preferably one who has impeccable work ethics and abundance of knowledge and skill, such as Hal Co Fence, you ’re guaranteed that your fence installation on your Alexandria, VA property will be one of the utmost quality craftsmanship and quality materials. Building a fence is usually a well thought out plan for Northern, VA homeowners who want to have a fence that will last them a long time and will look appealing to the eye for years to come. That’s why so many homeowners in Northern, VA turn to a fence company such as Hal Co Fence. They have been assisting Northern, VA homeowners for years with their selection of fencing materials and style of fencing. Each homeowner’s lifestyle and how the fence needs to function for that family is discussed in great length so that your fence company will know exactly what it is you need. Hal Co Fence is a local fence company in Northern, VA that has been building fences since 1981 and can answer most all questions regarding fencing. What fencing will best suit the needs and function for your family in Northern, VA? Do you have young children or small animals that you want to keep in a safe place outside so they can play? Do you just want some sort of barrier to define your property? Will you need gates? Your fence company can help you decide on the type of fence that will serve its purpose for you and your family. What makes a quality fence? Using the best quality materials within your budget with installation from a professional fence company should leave you with a fence that should last anywhere from 15 to 20 years or longer. What if you aren’t quite sure where to put your fence? Your Northern, VA fence company may recommend you have a survey unless you know your boundaries. If you have any structures in the way of a fence line, they can assist you in recommending how to go around these areas or removing them. Your fence company can help guide you in the placement of your fence in connection to your house. They can give you examples of other homes in the Northern, VA area that are quite similar to what you might be interested in so that you can drive by and see if this is close to what you want. A good fence company like Envirotex can help you plan and install your dream fence so it will last for years into the future. If getting permits, digging post holes, mixing concrete, and cutting fence boards to tackle your own fencing project seems like a dreary summer, consider hiring an experienced fence company such as Hal Co Fence. These crafted tradesmen have built attractive, long-lasting fences around the Northern, VA area since 1981. Choosing a fence company can be a bit overwhelming for some homeowners. Asking these questions to prospective fence companies in Northern, VA, hopefully, will aid you in your decision. How many years has your company been in business? Always do your own investigation into the fence company or any company that you are contemplating to hire for home improvements to your home in Northern, VA. Be sure to search the internet not only for the company name but the owner as well. You do not want someone who has filed bankruptcy or had a bad reputation for running another company. Is your fence company licensed to operate in Northern, VA? Paying someone under the table to save money might not be your best bet. If you allow an unlicensed individual to install your fence, you have no recourse and will end up taking full responsibility if the company does a shoddy job or if one of the workers are injured on your property. Protect yourself by requesting to see the fence company’s business license. Does your company have general liability and workman’s compensation insurance? 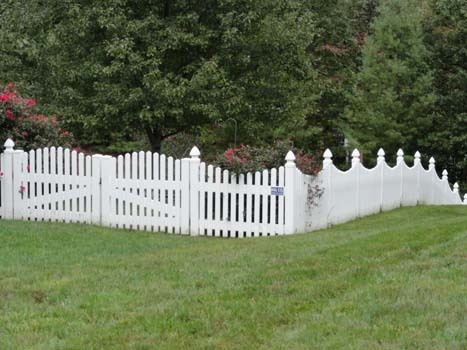 Request documentation from any prospective fence company in Northern, VA. This protects you from any damage costs that might occur during the installation and if any workers get hurt on the job. 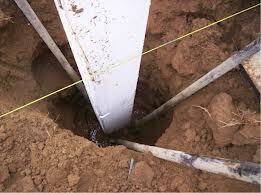 Does your fence company pull permits and contact the utility company to verify the location of underground utility lines? 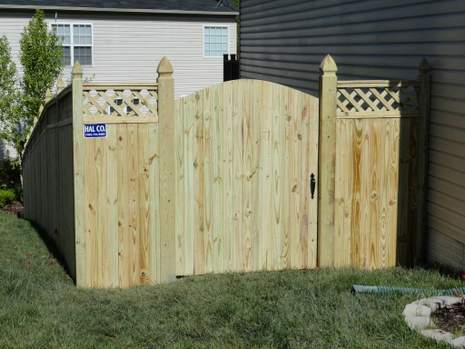 A good Northern, VA fence company offers these services to their customers. They know the ends and outs of which permits are needed for your particular project and whom to call for the marking of your underground gas, water, phone, and power lines. A good fence company in Northern, VA requests a copy of your survey records which verify your exact property lines. You never want to encroach upon public right-of-way or your neighbors’ property. Although there are plenty other questions as well such as warranty coverage, how long their quote is for, when can they start and when should they complete the job, these questions cover some of the legality issues you could encounter with fence companies. Choosing a qualified, experienced local fence contractor like Hal Co Fence assures Alexandria, VA, home and business owners they are investing in the quality and staying power of any new fencing they purchase. While some people have the skills, time, and confidence to properly install fencing themselves, most people need the services of a reputable fence contractor in Alexandria, VA, to provide customized fencing and personal attention that combines to result in a long-lasting, attractive fence that satisfies their needs and budget. Local climate factors such as wind patterns, temperature extremes, precipitation, and soil conditions affect the design, materials, installation, condition, durability and lifespan of any fence. A professional fence contractor helps Alexandria, VA, clients determine which type of fencing will best meet their needs and offers solid advice on process expectations, legal and site requirements, initial costs, ongoing maintenance, and the process involved in meeting their unique fence installation and maintenance needs. Hal Co is a local fence contractor providing a variety of fencing solutions for residential and business clients . We are proud our name is associated with high quality, dependable fencing services in Northern Virginia since we opened our doors 34 years ago in 1981. 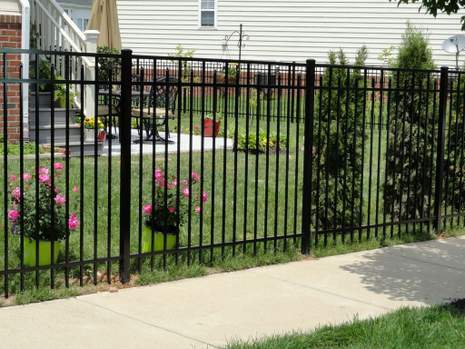 A family-owned and operated fence contractor serving Alexandria, VA, Hal Co provides property owners with comprehensive, cost-effective fencing solutions. From our initial consultation we focus on you, your budget, your property, and your fence requirements to meet your needs with the most practical, attractive and effective fencing. Contact us today to explore your fencing options and tap into over three decades of local fencing expertise.